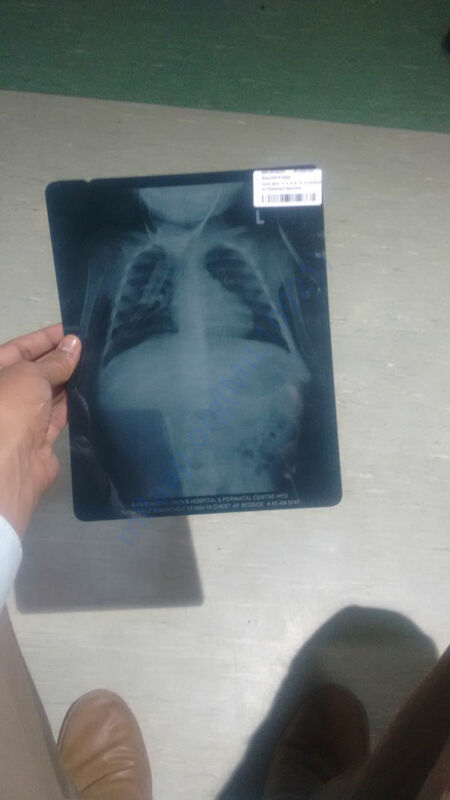 I am Abdul Razzak from Hyderabad and I am writing to you to seek your help for my 1-year-old daughter, who is suffering from Pulmonology Edema with Pneumonia and Diarrhoea . She has undergone a major surgery recently as the pneumonia had spread to the lungs. 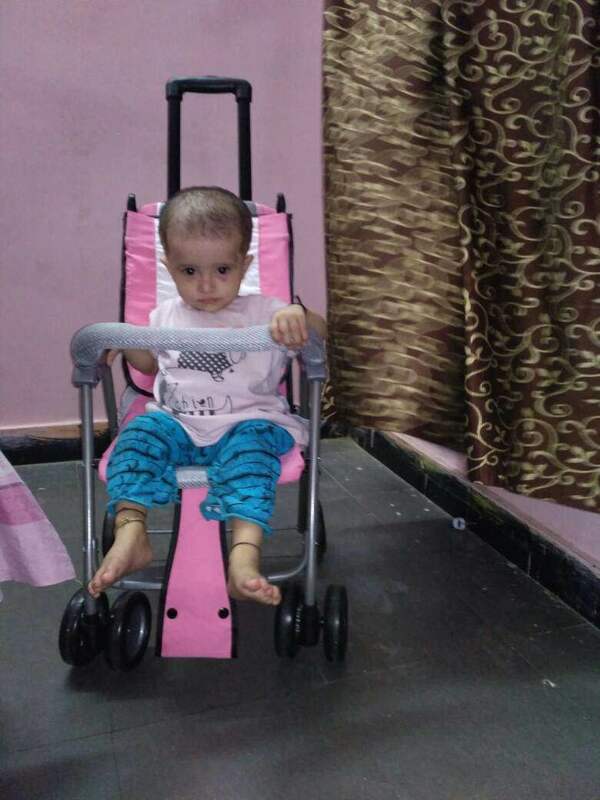 Inaya is also suffering from Diarrhea from the last 6 months which impacted her intestine badly and was been recommended to start Hyerallergic food called Neocate LCP. She is now on oxygen support at Rainbow Hospitals Hyderabad I have already spent 10 Lacs in her treatment earlier in different hopsitals and need everyones support and Prayers for faster recovery of Inaya. I am Debotri, a fellow at Milaap. Here is an update on Inaya's health. I spoke to her father, Mr Razzak, this morning. "Madam, my baby has started walking a little bit. And we are extremely happy. We don't know how to express our happiness. And this was only possible for all the donors who came forward to help my child. Your support and contribution will never be forgotten", he said. Apart from having Neocate LCP, she has started having home-made rice and smashed potato. This is kind of a big achievement for the family. However, she is still on weekly checkups. Last week Inaya had pimples in her head, mouth and eyes and she had to be immediately taken to the hospital. Now she is fine because of the high doses of antibiotics. I have spoken to Mr Razzak almost 4-5 times till now. But today is the first when I heard Inaya screaming. I felt so awesome. He also told me that she has started to say words like 'mumma', 'papa' and few other basic words. 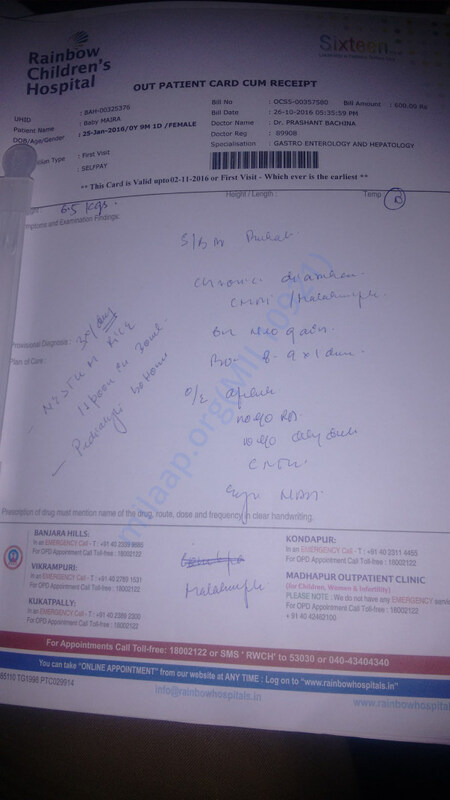 Her weekly expenses come up to almost Rs 4000, which includes her weekly check-ups, medicines and LCP. The doctors have suggested to lower the LCP quantity since it is extremely expensive. Thank you for all your efforts. Wish a speedy recovery for Inaya. We will keep you posted on her progress. I am Debotri Roy, a fellow at Milaap. Here is an update on Inaya's treatment. I spoke to Inaya's father, Mr Razzak this afternoon. "She has improved immensely. However she is little fragile at the moment", he said. Inaya has become quite active these days. Although she cannot stand on her own, she crawls and makes effort to roam around her room. “I still remember her first birthday. It was horrifying for me. It was the very day when she was operated. But now when I see her playing and become lively all over again, it brings me great joy. Thank you donors for your immense support to help my baby girl. She is like my strength”, said Razzak. However, Inaya is little weak on immunity. She is falling sick frequently and the symptoms revolve around fever, cough and cold and throat infection. 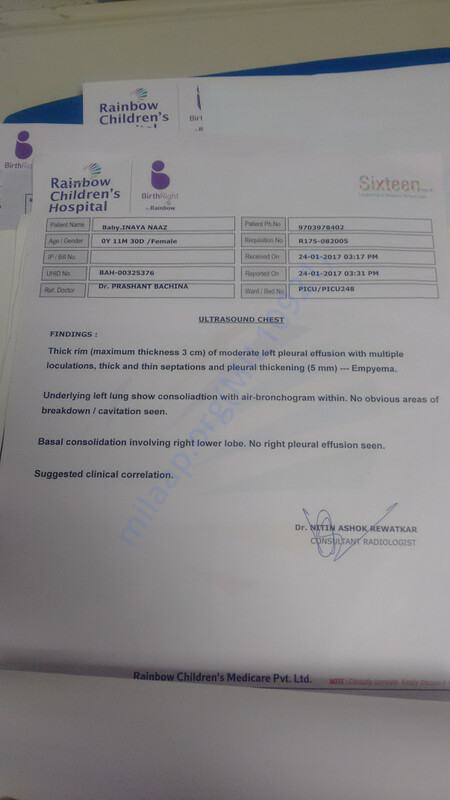 The doctor has advised the parents to keep Inaya under strict observation. She is still on Neocate LCP, which is extremely expensive. Thank you for your support and contribution. We want to THANK YOU in the biggest way possible. Please share her story and help her to fight the battle. We will keep you posted on her progress. I am Debotri Roy, an open fellow at Milaap. 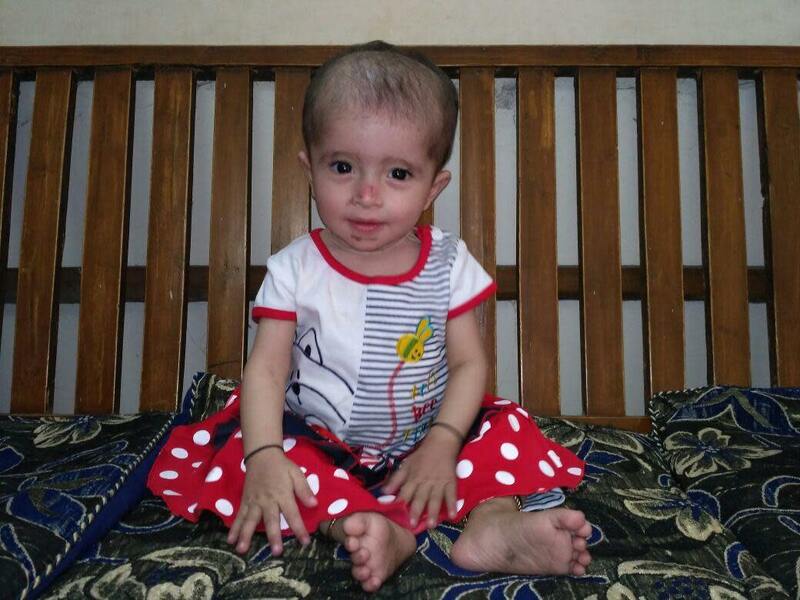 Here is an update on Inaya's treatment. I spoke to Inaya's uncle, Mr Abdul Gahni on 24th February 2017. "She is recovering very slowly. However she is too weak and fragile at the moment", he said. 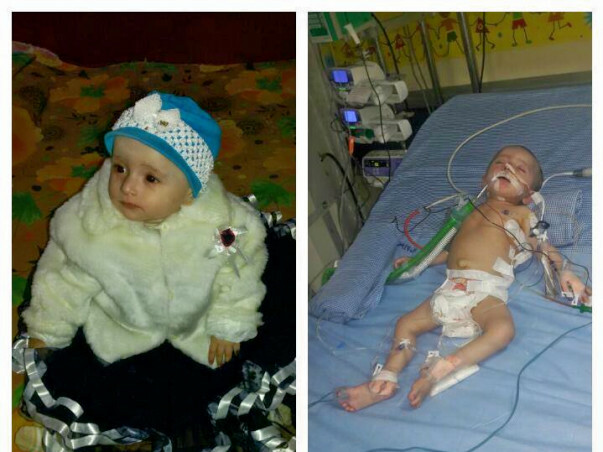 There was an accumulation of fluid in Inaya's lungs which had to be operated immediately. It was successfully operated on the last week of January. After being discharged 2 weeks before from the hospital, she is finally at home. "I have already spent so much in so many different hospitals that it became difficult to pay almost 2 lakhs for the operation at Rainbow Hospital. 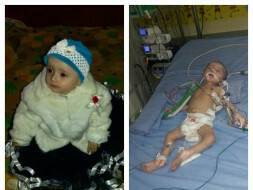 I want to thank the donors genuinely for coming forward to help my baby", said the father. The doctor has advised Inaya to be under strict observation. She needs to be instantly taken to the hospital if any abnormalities are observed. Medicines should continue for the next 10 to 12 months irrespective of anything else. Currently, she is very quite vulnerable and prone to infections too. Her intestine is very delicate and cannot support anything other than Neocate LCP. This is extremely costly. 1 bottle, which costs Rs 4500, lasts only for 2 to 3 days. Apart from that, per day medicinal expenses are almost Rs 5000. The doctor has also prescribed a new set of medicines for diarrhoea on last Wednesday. 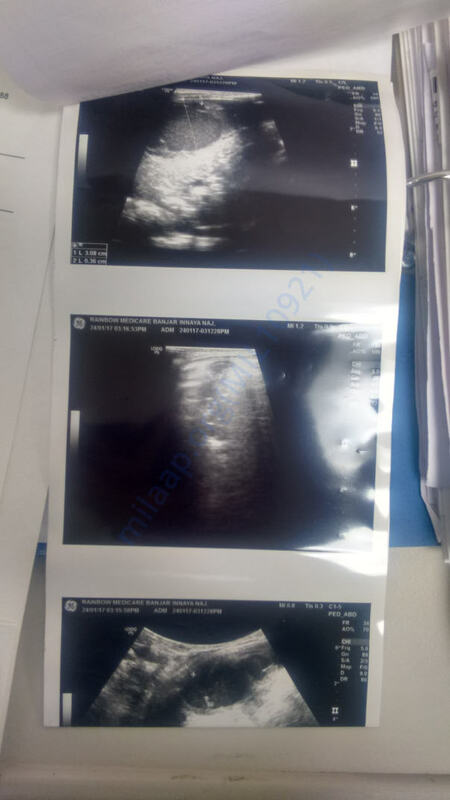 Although we have settled the bills, we are finding it difficult to incur the daily medical expenses", said the father.